The Government has abandoned its battle to stop an invasive and potentially deadly caterpillar from setting up home in the UK, it emerged yesterday. After a futile five-year struggle, ministers say there is no longer any point trying to eradicate the oak processionary moth, a toxic pest whose hairs can trigger severe asthma attacks. Instead, it will try to restrict the alien invader to its stronghold in London and the south-east. The U-turn has angered wildlife experts who say the insect will pose a major public health menace. The pest, whose nests have already trebled in the worst-affected areas in the south-east in recent years, will spread even more rapidly, they say. 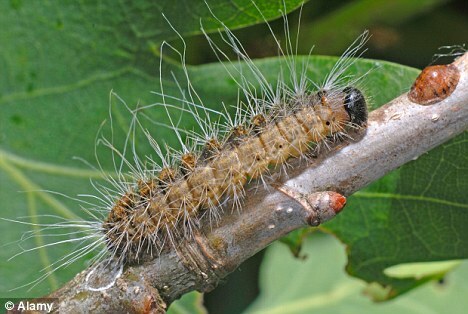 There are even fears that the caterpillar could affect the Olympics in 2012 if east London oak trees suffer an infestation. The moth, which devastates oak trees by stripping their leaves, first appeared in London in 2006 and has been spotted as far afield as Reading and Sheffield.